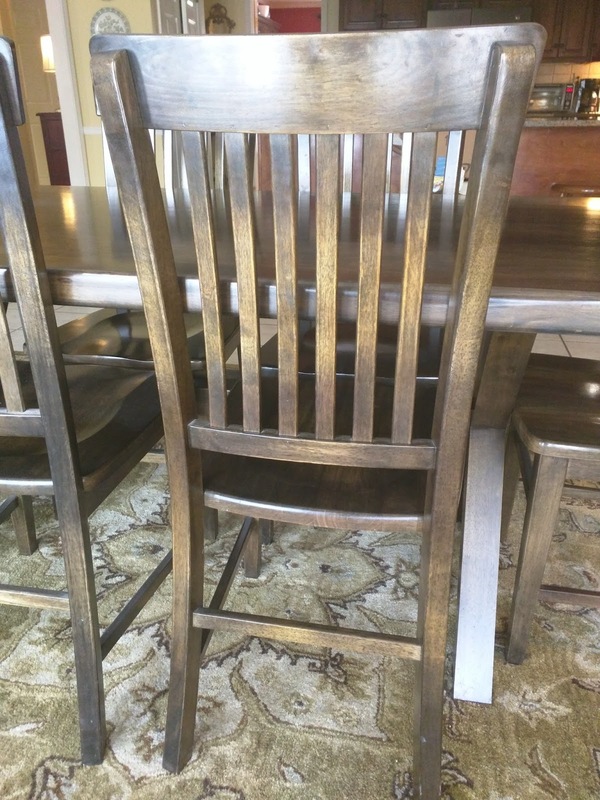 When Doug and I married, one of the first things we bought was a table and chairs. We picked it out together at Pier One almost 20 years ago. When we bought it, farm house decorating wasn't a thing. We just liked the look and the stability of the table. Eventually, three kids would be growing up around it. I felt like it was just the right amount of dressy (because of the dark color) with a hint of casual (so many lines in the chairs). Who knew years down the road I would look at it one day and realize I had a farm house table, and I was "in style" in the breakfast room? :-) But that's what I did which got me thinking about the farm house style that Chip and Joanna have now made so popular and inviting. I did a bit of looking around and found some sources if you happen to be on the look out for a new table in the farm house family. 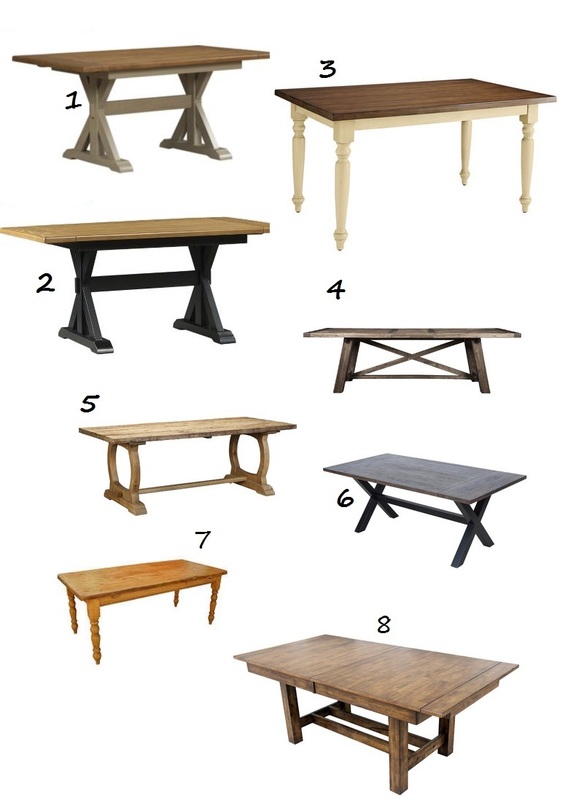 Here are a few pictures of the many ways to use this style table. 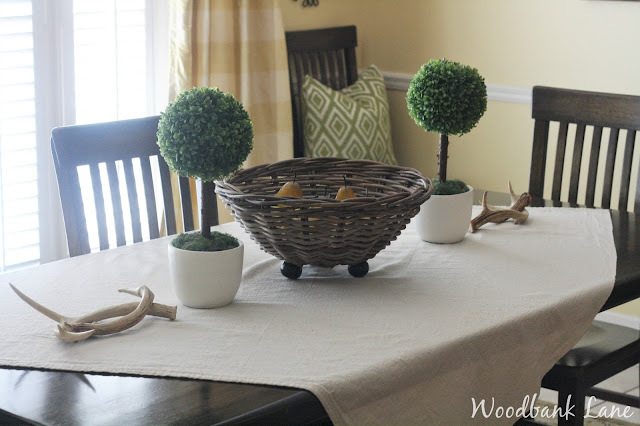 This look from Wayfair is more formal thanks to the darker wood, and the "set" look. Pottery Barn wins the award for casual elegance. 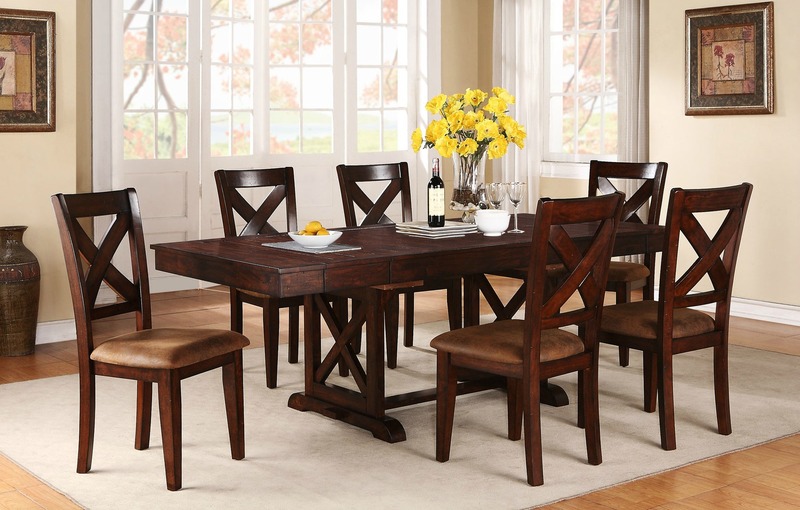 I love the look of the fabric chairs with the Toscana dining table. 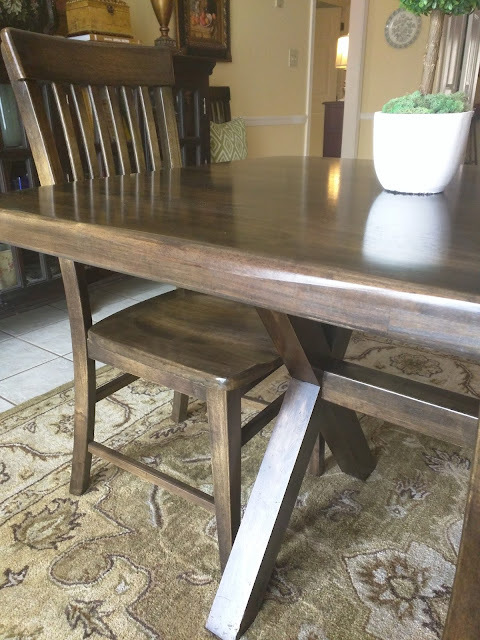 If you prefer a white-washed, lighter look, this table from Humble Abode, a new-to-me vendor, is perfect. Here are some other options I found. So, how about you? What's your style? I can't quite put my finger on mine.